Building a foundation with business intelligence can transform the organisation's agility and capability, says Mandy Leonard, business development director at EOH Intellient. 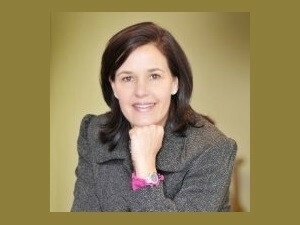 Mandy Leonard, Business Development Director, EOH Intellient. A recent survey by the Economist Intelligence Unit analysed insight from 154 executives around the world to determine the value of business intelligence and the complexities of decision-making. Perhaps one of the most salient points to come out of the analysis was this - poor data leads to poor decisions. Nearly one in five of those surveyed felt that management gets its decisions wrong, and 72% felt that decision-making at the upper levels was only moderately efficient. When looked at in light of the market factors - economic volatility, political instability, rapidly evolving technology, increasingly demanding consumers - that are currently rocking the foundations of all businesses today, this is not a figure any organisation should be proud of. The secret to success isn't Michael J Fox, it's business intelligence (BI). However, in as much as BI is the secret, so is the sauce that makes it work. Old and dated data from a rusty system that can't pivot on demand or deliver insight when needed isn't going to give the decision-maker much in the way of fuel. Nor is slow and tedious analysis that's unable to access real-time trends for on-the-spot solutions. Mandy Leonard, Business Development Director, EOH Intellient, says: "High-quality data is essential, as it provides the decision-maker with a far richer pool of insight that ticks the boxes of relevant, accurate and timeous. The more the decision-maker understands the company and the competition, and how these factors influence one another, the more they will be able to shift the business focus in directions that count." In a recent implementation of a new BI solution, Ford South Africa invested in a solution that could access data from the financials and volumes and compare this to a prior forecast on a monthly basis. The result was that the monthly numbers are now quickly accessed, with greater detail, and the relevant decision-makers have more time to analyse the business and make more accurate budget forecasts. This level of detail and the speed at which it is delivered allows the organisation to take greater control over budgets and long-term forecasts to ensure sustainable success. Leonard explains: "Another benefit of a BI solution that can turn insight around on a dime is the ability to use data proactively as opposed to reactively. With visualisation tools, interactive charts, maps and tabular formats, along with dashboards and scorecards, information can be communicated in a more meaningful way. This will allow for easier user interpretation of the data which, in turn, allows for users to focus on finding the insights and answers they need, quickly. In addition, users can be proactively notified of any issues or exceptions, which gives them the time to uncover the root cause and make the relevant adjustments. And, across all these capabilities, the insights can then be used by decision-makers to determine high-level actions or to develop frameworks that determine future courses of action. "The goal of BI today is that it should be so much more than just holding up a mirror to the past. It needs to provide the business with a view of today and have the potential to predict where tomorrow will go. A strategically implemented BI platform can provide an integrated view of each timeline, serving every aspect of the organisation's needs, from learning about the lessons of the past to determining the errors of today to adjusting the focus for tomorrow." A BI solution needs to be integrated, easy to use, strategically targeted, secure and powerful, but most importantly, it needs to be turned around quickly. Fast really is furious in this challenging economy and BI adds a significant competitive advantage.